Toradex’ 10th anniversary on 19th November 2013 is an excellent occasion to reflect on our dynamic past, the crucial success factors of our venture, and the vision we have for the future. With the kind support of our loyal customer and supplier base, we have, over the past 10 years, established the name Toradex as a worldwide trusted brand that stands for our innovation, leadership, and passion for perfection. Originally Swiss, Toradex has now become truly global, with close to 100 employees contributing 24 hours per day in the Americas, Asia, and Europe to this unique amalgam of talent, creativity, and devotion for which our customers and suppliers value us. 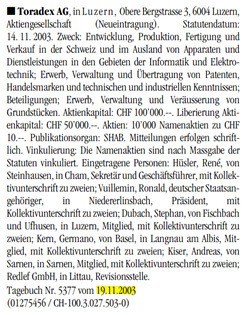 Toradex spun-off from the Lucerne School of Engineering and Architecture, HTA Luzern, where its founders had been employed to deliver applied research services in electronics and computer science to various industries across Switzerland. At HTA Luzern, it was our mission to strengthen the technological competitiveness of Swiss companies, and I believe we were quite successful in what we were supposed to do. So successful in fact, that we decided to provide such services at a larger scale and more economically, by means of our own private company, instead of a government backed institution. There’s no denying our engineering background, and for this very reason, from the very first we had adopted straight from the very first thought of starting Toradex a very structured, yet creative and flexible, approach in everything we did. It was unanimously agreed among us founders that Toradex should become a sustainable, organically growing, yet scalable business without any dependence on external investors or banks. However, we were quite aware that the development of our own product portfolio and its introduction to the market would take significant time and financial resources, the latter of which we clearly didn’t have to the required extent during the startup phase of Toradex. Therefore, our initial value proposition, allowing us to generate instant revenue and a product portfolio without major investments, was tailored specifically around the expertise and reputation we had built up while working in our previous university environment: Made to measure engineering services in the domain of customer-specific computer systems, featuring high performance and low power consumption. Many people have asked us about the meaning behind the name “Toradex”. We could have created a nice myth around the creation of our brand, but we’re just too down to earth for such fancy stories. So the truth of the matter is that the name Toradex is entirely synthetic, a truly unique name that could be globally protected as a trade mark and registered as domain names. 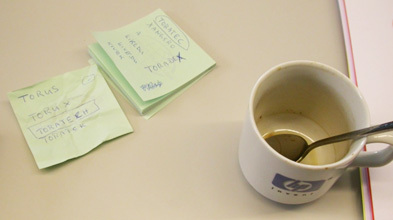 The picture below was taken on 11th September 2003 at 4:01h pm, and shows the exact moment when the name Toradex finally saw the light of day, after endless discussions and online research. We then created the visual identity of the brand with the kind help of Karl, Andy Kiser’s brother, a very gifted graphics designer. Being a young startup at the time, we wanted our brand to convey professionalism, reliability, and stability, for which reason we chose tuned-down pastel blue and green as our main colors. The circle with the five dots in the Toradex logo actually has a meaning; it stands for the five initial founders. Since 2013, we've been using a rejuvenated logo with crispier colors and a revised company slogan that refers to our Swiss origins. 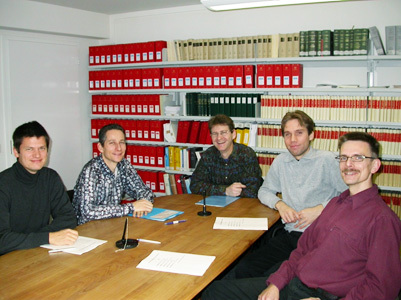 The registration of Toradex AG, the first Toradex franchise, was initiated with the general assembly of the shareholders in the office of a public notary on 14th November 2003. 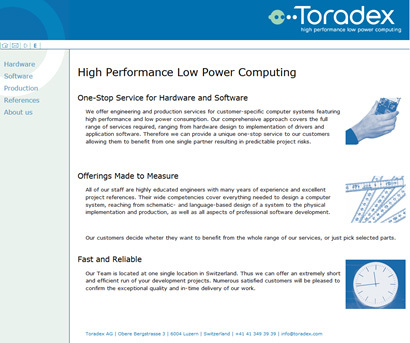 A snapshot of the Toradex website on 4th April 2004 reflects our focus around engineering services at that time. Our very first customer was Brunner Elektronik Hittnau (BEH), for whom we had already been working during our university time. Based on BEH’s requirements, we developed the world’s smallest Intel® Pentium® M computer module – a true challenge with 60 Watts power dissipation and a 14 layers printed circuit board in an ultra-compact form factor. Our customer required such a small form factor to perform the object character recognition in their high-end digital camera systems. The development contract was set up in a way that would allow Toradex to co-market the product independently of BEH in return for a significant discount in our development fees. To be frank, despite our years of embedded PC development expertise, we truly underestimated the complexity of this compact design, and the associated manufacturing costs. Given the high manufacturing costs, it became clear to us that such a product, despite its very compact and appealing form factor, would only be a viable solution for a niche market like BEH’s camera systems, but not be competitive in the generic computer module market. Intel at the time was highly impressed with the design capabilities we had demonstrated during the development of our miniature Pentium® M computer module. 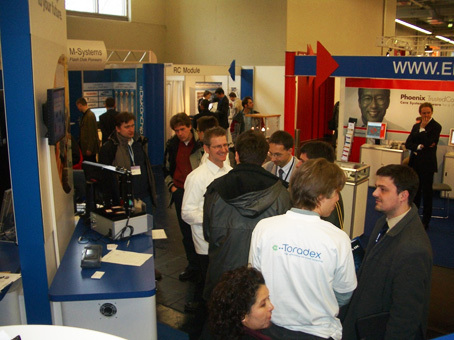 In October 2004, Intel invited Toradex to participate at their booth at the Embedded World Nuremberg in February 2005. This was an once-in-a-lifetime opportunity given to us and hence, we immediately started the development of a second, universally applicable computer module around Intel’s upcoming ARM based XScale™ PXA270 processor. It was clear to us that Toradex was the new kid on the block, with no history or reputation. For this reason, we decided to come up with a product based on an existing form factor and pin-out, providing our potential customers with the option of a true second source alternative, which would ease their decision to try us out. After a very thorough market analysis, we came to the conclusion that Keith & Koep, with their PXA255 based Trizeps SO-DIMM module, was one of the most viable ARM computer module solutions at the time on the market. It was our aim to provide our future customers with a next generation processor platform based on the PXA270, which would be a Windows CE powered out-of-the box solution, and drop-in compatible with Keith & Koep’s existing computer module. At the time, the embedded industry was dominated by predator names: shark, eagle and tiger were commonly used for computer boards and modules. We wanted to convey a friendly and welcoming message to our customers. For this reason, we chose the tiny hummingbird, also known as Colibri, as the name for our computer module. The creation of this entirely new product in such a short timeframe demanded a very high focus on our development. For this reason, we decided to rent our first office outside the university from 1st November 2004 on. The new office at Altsagenstrasse 5 in Horw/Lucerne became operational on the 5th of November, 2004 and thanks to the flexibility of our landlord, who was able to allocate more and more office space to cover our increasing demands over the years, Toradex Switzerland is still located at the very same office today. 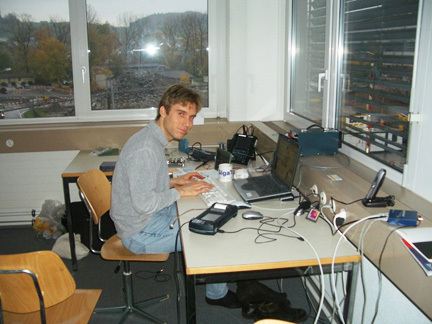 On 21st December 2004, René Hüsler informed the shareholders of Toradex by email that he had decided to leave Toradex and focus on his career at the university. Left with little cash reserves, this came as a shock to us remaining shareholders. But instead of giving up, we decided to bail out René, inject the remaining 50% capital that was not yet liberated, and develop our second product at the speed of light. The days until the Embedded World exhibition were quite hectic. On 15th February 2005, just a couple of days before we took off for Nuremberg, we received the first sample of our newly developed Colibri PXA270. 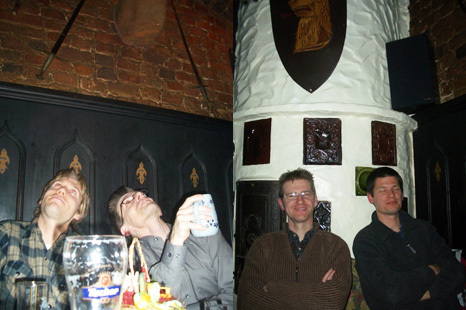 The night before the exhibition opened, Germano Kern, Stephan Dubach, Andy Kiser, and I had dinner at the “Im Keller” Restaurant in the center of Nuremberg. We still hadn’t yet come up with a marketing strategy for our new product. At 11.40 pm, after plenty of heavy German food and a couple of beers, our marketing strategy had finally taken shape and we decided to go for what has made Toradex the market leader in embedded ARM computer modules today. Inspired by the success of Dell in the consumer space, we opted for an approach that would combine direct sales and direct customer support with extremely competitive pricing and advance payment. On 22nd February 2005, Embedded World opened its doors to the public. Now, the Embedded World is one of the world’s largest trade shows in its domain. The entire exhibition was flooded with green processor boards, for which reason it was incredibly difficult to stick out of the mass of competitors and attract the target audience without significant marketing budget or a brilliant idea. The brilliant idea came to us during our first visit to the exhibition toilets, a place where each and every visitor has to go during the long exhibition day. Soon after, we placed myriads of our product flyers at strategic positions in each and every toilet. Each flyer had a hand written message on it, giving the impression of personal note by an enthusiastic Toradex booth visitor, highlighting the incredible aggressive Colibri pricing of 99 Euros. The response to our guerrilla marketing action was tremendous and during the three consecutive days of the exhibition, our stand at the Intel booth was permanently occupied with interested customers. Soon after the Nuremberg exhibition, our web shop went live and we started receiving our first orders from all over the world. In fact, our first web shop order came from Taiwan and the second one from the United States. Business-to-Business Internet sales and marketing had not yet been common back then; Toradex was pioneering this highly efficient and transparent sales channel. 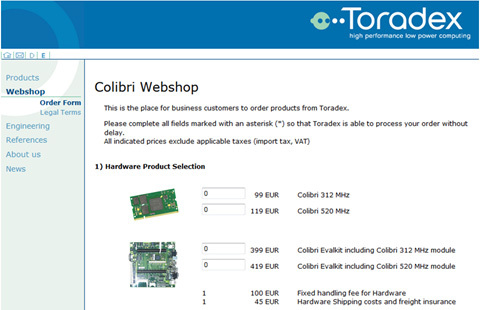 The picture below shows a snapshot of the Toradex Colibri web shop in November 2005. From its foundation in 2003 on until the opening of our first overseas franchise in Seattle in 2008, Toradex went through a phase of rapid expansion of its customer base and product range. At the volume production start of Colibri PXA270 in June 2005, we could count 40 companies as our customers. During the time of Embedded World 2006, we were already counting 130 customers and were able to showcase the first Colibri PXA270 module based products of our customers. This was clear proof to the market that we were able to help our customers significantly reduce their development risk and speed up their product’s time to market. 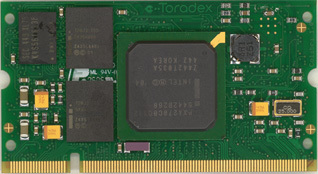 In September 2006, Toradex became the first company worldwide to launch a PXA320 based product. The Colibri PXA320 was again pin-compatible with its predecessor, the Colibri PXA270, thus providing an ideal and seamless performance upgrade path for our existing customer base. 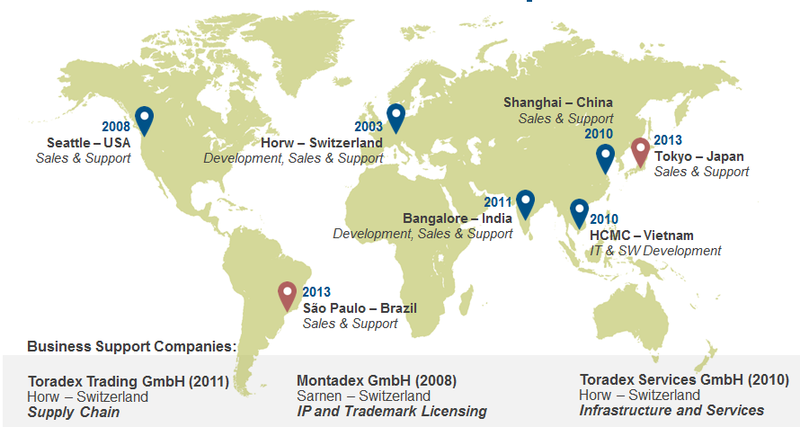 In June 2007, shortly before the launch of the Colibri PXA300 and Colibri PXA310, our customer base had reached 570 companies in 68 countries, making Toradex a truly global player in the embedded computer module market. Not only did we expand our product range in the area of embedded computer modules, we also developed an entirely new range of plug and play USB sensors, called Oak, as well as motor drives. Despite our continuous effort and patience, the USB sensors and motion controllers turned out to be unsuccessful in the market as they were not flexible and configurable enough to meet the requirements of the diverse customer segments we were addressing. When we decided to stop our engagement in these products, we still had a number of customers using Oak sensors in their products. As we did not want to put them in needless discomfort, we decided to make the Oak product line “Open Source” by disclosing the entire production data, including the USB processor code, thus allowing our customers to continue the production and product maintenance on their own behalf. This move was very much appreciated by the affected customers who were able to experience our unconditional commitment to their business success. A large customer base comes with the added responsibility to be able to always deliver products in the required quantities and quality. By the end of 2007, we therefore had already set up multiple independent suppliers for each product, as well as a logistics hub in Germany, to quickly, and more economically serve our customer base from within the European Union. Our products are manufactured in large quantities. 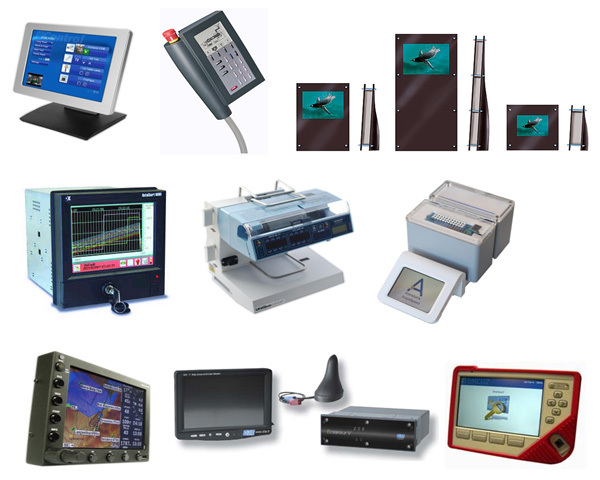 In order to assure a consistently high quality, each and every finished product undergoes an optical inspection and a full functional test before it is assigned a unique serial number, which is then traced throughout our entire logistics chain until it reaches the customer. All these quality measures run behind the scenes and only few customers are actually aware of them. Despite the numerous measures we had put into place to ensure the highest quality standards of our products, and their redundant manufacturing, the worst of our nightmares materialized in June 2008. We discovered an unusually high rate of product failures out in the field, several months after their production. Such failure symptoms were entirely new to us and not detectable with our production tests. Thanks to our full product serial number traceability in place, we were able to quickly identify the concerned production lot. To prevent further damage, we immediately informed customers, who had received these products, of the occurring quality problems and offered replacement, once the product quality was re-established. In parallel to this, we started a very thorough investigation to identify the root cause of these quality issues with the help of two world leading research institutes, the Fraunhofer Institute, Germany as well as the Swiss Federal Institute of Material Testing (EMPA). Our production was on halt, products were being recalled, many of our customer’s production lines stood still and even worse, customers had to re-call products from out in the field. After some weeks of investigations, it turned out that our problems were caused by black pad Nickel corrosion on a particular printed circuit board lot which had been used for the production Colibri PXA270 modules. It is a sad excuse, but at the time numerous companies in our industry were facing problems similar to ours, as there was a complete lack of large scale process experience during the transition to unleaded soldering, a new process technology imposed by the RoHS regulations of the European Union from 2006 onwards. Since then, a significant amount of manufacturing expertise with this new process technology has been built up in our industry. Unleaded soldering however remains a very delicate process which requires the utmost attention to detail, and the slightest process deviations in manufacturing can lead to disastrous results. Recalling this unpleasant summer of 2008 with the all the trouble our customers were facing, I very much remember a short but highly encouraging email from a US customer. He personally wrote to me and said that “It is exactly in this situation when you can value a partnership”. Today, we know that we only lost very few customers during this summer. I’m very much convinced that this most unwanted benchmarking of our transparency and honesty has contributed more than any marketing activity to the recognition of Toradex’ brand values out in the market. We’re dealing with a highly complex technology where things can go wrong. It is however the question how a company deals with problems and mistakes. In fact, the customer base of Toradex has continued to growing at an even higher pace since then. Toradex’ tiny, highly reliable, but inexpensive computer modules are the hearts of countless products which represent billions of Dollars in market value. We estimate that products with our computers inside are today being used by more than 500 million people daily, whether their blood samples are being screened for diseases, they use public transportation or elevators, they are protected from environmental disasters, they are receiving speeding fines, or they use communication infrastructure. Given our huge responsibility for the safety of so many people and the ongoing supply of such a large portion of the economy, the reduction of risks to our business and the unconditional assurance of our independence to the mutual benefit of all our stakeholders has become our top most priority since the massive product recall in 2008. The foundation of Montadex GmbH on 21st November 2008 as a pure licensing company, and the transfer of ownership of all Toradex related trademarks, domain names and intellectual property rights into this company, marked the foundation of the global Toradex franchise as it is structured today. Montadex GmbH is our fortress for intangible assets, the Swiss bank safe which was designed to enable the entirely independent Toradex franchises worldwide to always sustain the supply chain of their local customers. The year 2008 represented a major milestone in the globalization of our business. Almost since the very beginning of our operations, Toradex has been able to reach a global customer base from within Switzerland, with our warehouses located in Switzerland and Germany. However, with more and more customers relying on our capabilities to sustain their production with our product supply, the need for a global setup of warehouses and operations soon became apparent. The foundation of Toradex Inc. in Seattle marked the beginning of our global presence, which was then followed from 2010 on by additional operations in China, India, and Vietnam. At this very moment, as I’m writing this text here in my hotel room in Yokohama, where Toradex is going to attend the Embedded Technology Exhibition 2013, the preparations for the foundation of Toradex Japan are being finalized. We expect the formal start of our newly set up operations in Japan during the course of the next weeks, as well as the foundation of Toradex Brazil. Business growth, internationalization and especially global trade come at the cost of an incredible complexity, for which reason we started to heavily invest in business process optimization and automation from 2009 on. From a retrospective view, the introduction of our self-customized ERP system was completely underestimated and happened much too fast, without thorough investigation and optimization of the underlying processes, process documentation and user training. While our engineers continued to enjoy their truly creative development work, our administrative staff has suffered their fair share because of the ERP’s structural deficits. Only recently has this situation started to significantly improve, once a very devoted and talented business process analyst joined us and built up a team of dedicated people to further drive the process landscape within Toradex. Without these measures in place, the further expansion of our business would have been extremely difficult to achieve. The foundation of Toradex Mechatronics in 2010 with its focus on multi-disciplinary engineering services took place shortly before the Swiss Franc became the safe haven during the Euro crisis and the Switzerland’s currency skyrocketed. Initially well-funded by means of a large research project which had been granted by a laboratory automation company, Toradex Mechatronics soon found itself confronted without further project pipeline and salary levels that were by no means any longer competitive in an international environment. Unfortunately, all our attempts failed to transform the company’s highly volatile engineering business and in 2011, the company had to file for bankruptcy due to a lack of funds to sustain its business. During the past ten years, the Toradex team has been growing steadily and, besides our joint efforts in bringing Toradex ahead, we have been sharing many joyful but also sad moments in our lives. Friendships were made, weddings held, children born and birthdays celebrated. The constant move of our people to different business locations has created mutual respect and admiration for other cultures, as well as relationships of trust that cannot easily be broken. Looking at all the joyful faces on the pictures above, I’m very much looking forward to sharing many more years of fun and success with everybody involved in this great venture called Toradex!